Having identified a serious void in the Haitian voice in both the local and international spectrum, Caribbean Media is born with the purpose of making reliable information available to the public at large. Not only is the content we stand behind thought provoking and relevant, but also it is with great care and attention to detail that the proper medium is chosen to convey these messages. Whether it is print quality, design or digital content; the various teams all work towards providing a top-tier product. Caribbean Media began publishing Challenges Magazine which began as Haiti’s first and only weekly news magazine for over a year before it switched to monthly circulation in order to offer readers deeper analysis and more investigative pieces. 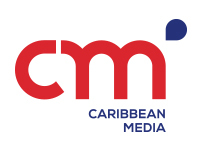 Today, Caribbean Media has proven successful in bridging the information gap with an attractive magazine with cutting-edge design for comfortable reading boasting rich, relevant and stimulating reads for readers in Haiti and around the world in both print and digital formats.